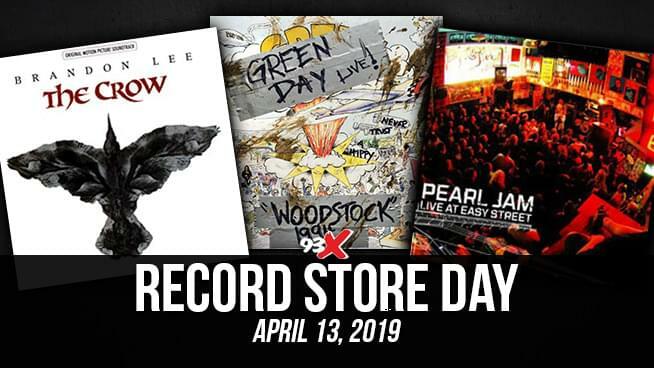 This Saturday, April 13 is Record Store Day. If you’re part of the dying breed who still loves to buy physical copies of albums (“There are dozens of us! DOZENS! !” – Tobias Fünke), these are some of the notable Record Store Day exclusives you can hunt for. Physical vinyl release of the two EPs the Canadian collective issued digitally this year. The brand new EP comes on teal colored vinyl and features remixes of “She Taught Me How to Fly”, “Keep on Reaching” and “Black & White Sunshine”. Ben Gibbard (Death Cab For Cutie) will be releasing a tribute to the late singer-songwriter/producer Richard Swift (The Black Keys, The Arcs, Starflyer 59, The Shins) who passed away in July 2018. The tribute features two unreleased songs produced by Richard Swift. “Me and Magdalena” which Gibbard wrote for The Monkees, and an alternate version of Teenage Fanclub’s “The Concept” from Gibbard’s full-cover album of Bandwagonesque. Topography collects 5 of Goo Goo Dolls’ 11 albums in a vinyl box set. The albums include 1998’s Dizzy Up the Girl and 2013’s Magnetic, as well as the global debut on vinyl of 2002’s Gutterflower, 2006’s Let Love In and 2010’s Something For the Rest of Us. For the first time, and in limited quantities, Green Day’s classic performance at Woodstock ’94 is being released on vinyl. Featuring performances of “Welcome to Paradise”, “One of My Lies”, “Chump”, “Longview”, “Basket Case”, “When I Come Around”, “Burnout”, “F.O.D.” and “Paper Lanterns”. 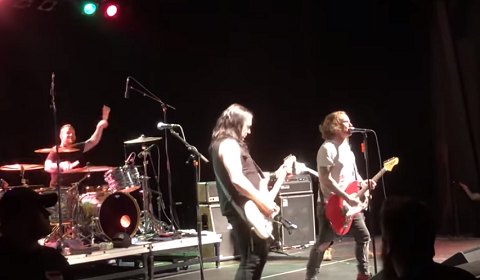 Halestorm’s 7″ green vinyl, Buzz/Chemicals, features “Buzz” from 2018’s Vicious plus the previously unreleased “Chemicals”. Seven Mary Three’s debut album, featuring “Cumbersome”, will be released on vinyl for the very first time. Recorded in 1997 at Pleasure Island in Walt Disney World, this never before released set comes pressed on translucent orange vinyl with outstanding sound quality.